Order QuickBooks Pro, Premier for the desktop or NEW Basic or Enhanced Desktop Payroll subscriptions at a 10-20% discount through our Authorized Intuit Affiliate page. 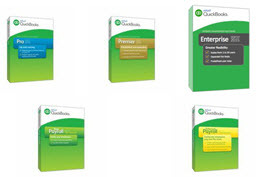 As an Intuit Premier Reseller, we can provide you with discounts on QuickBooks Enterprise Solutions, request a price quote for QuickBooks Enterprise and/or a price quote for QuickBooks Assisted Payroll - complete our document Quote Request form (111 KB) as there are monthly specials. Microsoft Word and Excel 2007, 2010, or desktop versions of Office 365 (32 or 64-bit versions) with the latest Service Pack applied. Office Click-to-Run and Office 365 web-based versions will eed to be converted to desktop (locally installed) versions. Our software still works with QuickBooks Pro 2002 through 2011, QuickBooks Premier 2002 through 2011, and Enterprise 1.0 through 11.0; however, Intuit no longer provides support for these versions.